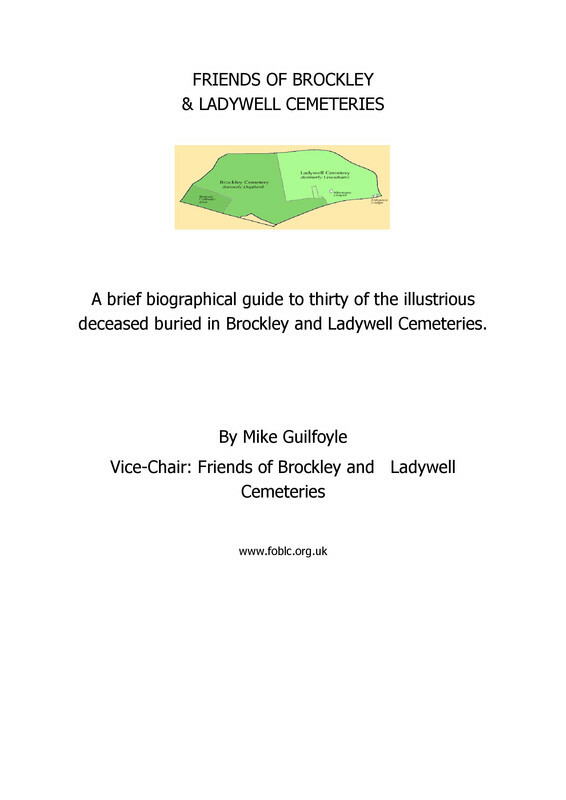 The FOBLC are pleased that The Music Hall Guild of Great Britain and America have been able to restore the final resting place of actor and comedian EDWARD LEWIS (1864-1922) who rests in Brockley Cemetery. 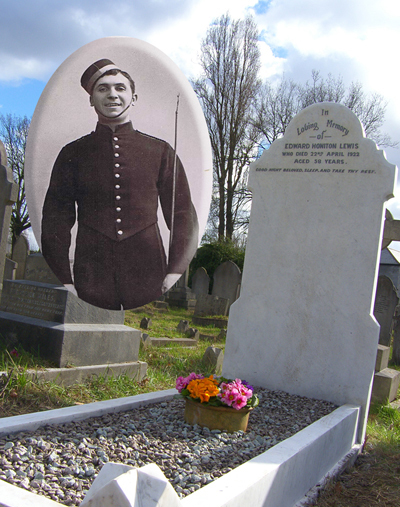 Edward Lewis (inset) and his restored grave at Brockley Cemetery. Edward Lewis was born into a theatrical family and made his debut at the age of 2, being carried onto the stage by actor James Elphinstone. As a child, it is reported that he performed ninety nine times within a three day period, such was his determination to establish himself as a working actor and keep up the family tradition. Edward went on to appear in many straight plays and musical comedies and toured Australia. However it was performing in Pantomime where Edward became exceedingly popular and for years he delighted audiences all around the United Kingdom. His popularity never waned and it was ill-health that forced him to resign from his final comedy role in Sinbad the Sailor at Sheffield in 1922. He died of cancer, aged 58. 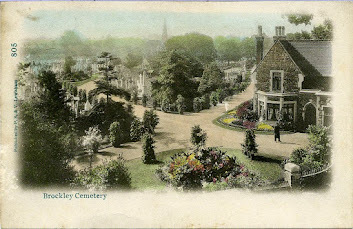 The Music Hall Guild are considering organising a more formal restoration ceremony in due course..Edward's grave lies close to that of another famous (but largely forgotten Music Hall star) William Zaccheus Putner ( stage name Sydney Bray) both graves are located close to the Brockley Grove boundary and will be included in future guided walks.